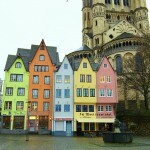 An Avalon Rhine River Cruise is a great way to see several destinations in one trip. You go from place to place in the comfort of your floating hotel without ever having to re-pack or schlep baggage. Your room goes where you go. 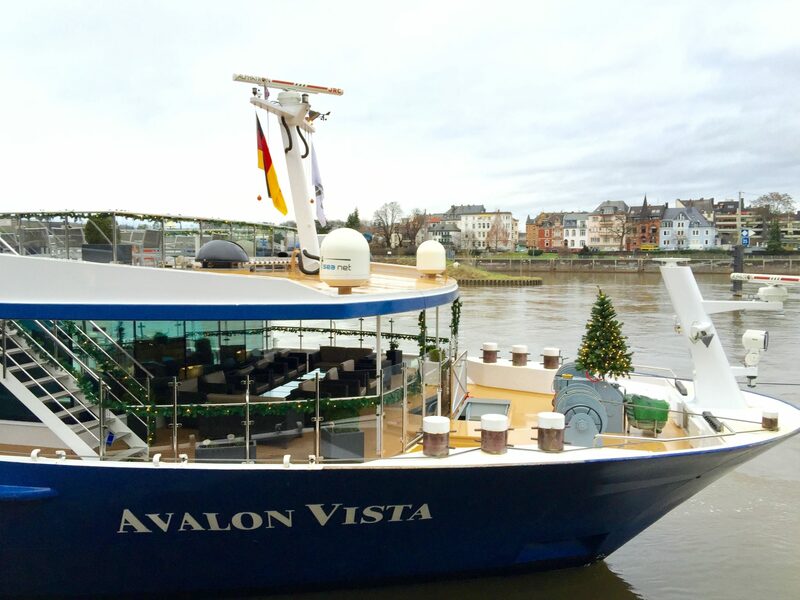 This was my first experience river cruising and it was so enjoyable, I’m eager to do it again. The Avalon Rhine River Cruise is called the Romantic Rhine cruise, but it could also be called the Christmas Market Cruise during the holidays, because that’s the focal point of the cruise. 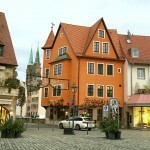 The Rhine is absolutely romantic, as are the markets and beautiful villages along the way. 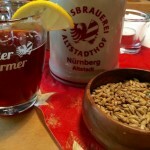 But, it is entirely appropriate for family members of all ages and not meant for couples only. 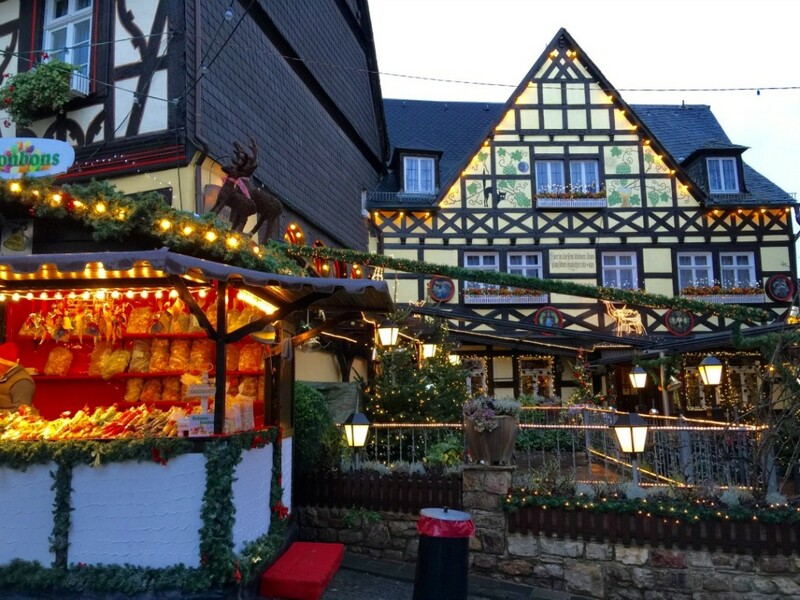 This cruise is a great choice for holiday travel as you hop from town to town and market to market along the Rhine River, which is essentially a mecca for Christmas markets. Avalon’s state room design is a little different from other river boats. Rooms offer 200 square feet of space with wide open air views to the world passing by. Rather than having a separate balcony, Avalon’s Panorama Suites incorporate floor to ceiling sliding windows creating an innovative open air balcony that is essentially part of your room. You can enjoy the fresh air any time from your indoor/outdoor seating area or even from the comfort of your bed, which faces the windows. It’s pretty cool to see the world go by from the cozy comfort of your bed. Avalon’s beds are possibly as comfortable as your bed at home. They use memory foam mattresses and quality bedding for luxurious comfort. 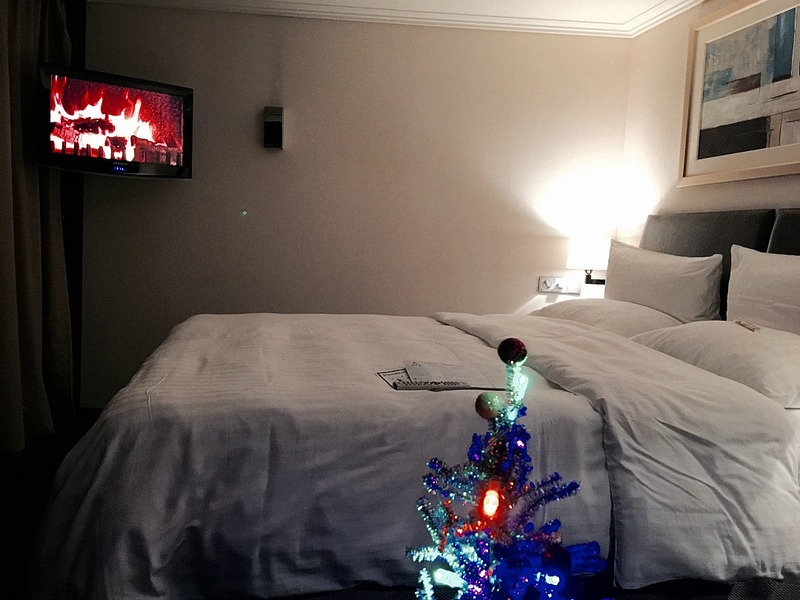 There is a desk area and a flat screen tv mounted on the wall, and at night, when you come back to your room from dinner, you will find it set to a fireplace along with a chocolate lovingly placed on your bed along with the itinerary for the next day. 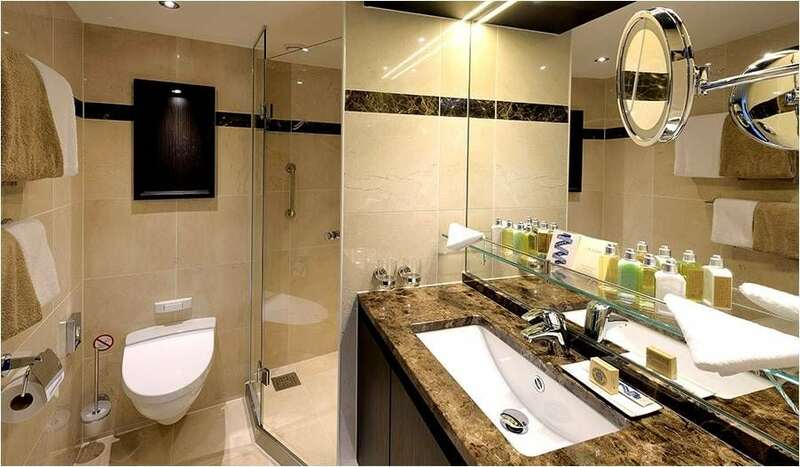 Bathrooms are also spacious and come stocked with L’Occitane amenities with the neutral scent of Verbena. Rarely can I use hotel amenities because they are too perfumey, so this is a real luxury for me, and it keeps my baggage weight down as I did not have to pack shampoo, soap and conditioner. A generously sized closet has plenty of room to store your clothing so that it is not in your way while you move about the cabin. Everything stays organized and uncluttered. I had more than enough room for my carryon, bulky winter coat, boots, backpack and toiletries. I brought a tiny little USB Christmas tree (that the crew loved) and a travel speaker for playing my own music. I thoroughly enjoyed hanging out in the room at my little bistro table, the couch, or snuggled in bed. Decor is modern and streamlined. Food was served pretty much non-stop throughout the cruise. You have multiple options for when and where you want to eat to accommodate your schedule, so that you can enjoy meals and snacks at your own pace. 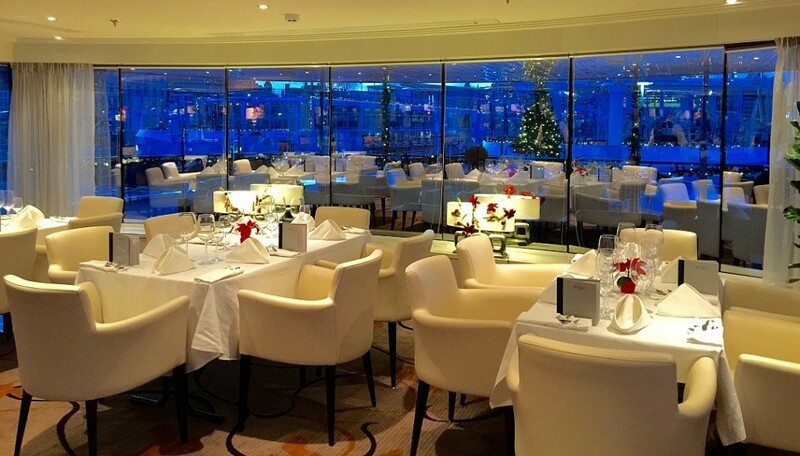 At night there is a formal dinner in the dining room, but you can choose to eat a lighter meal upstairs in the Panorama Bistro, your room, or off the boat altogether. They make an effort to serve food that reflects the traditions of wherever you happen to be at the time, offering local foods. There is so much food, you might worry about gaining weight, but just know that there are always healthy options at every meal. You can load up on salad, then go easy on the richer dishes, which is what I did. Not saying I didn’t gain a couple pounds on this trip, I am sure I did. Thankfully, there were no scales and mandatory weigh-ins post trip. Actually, with all the walking, it’s not too bad. I think you could come out unscathed if you really wanted to. 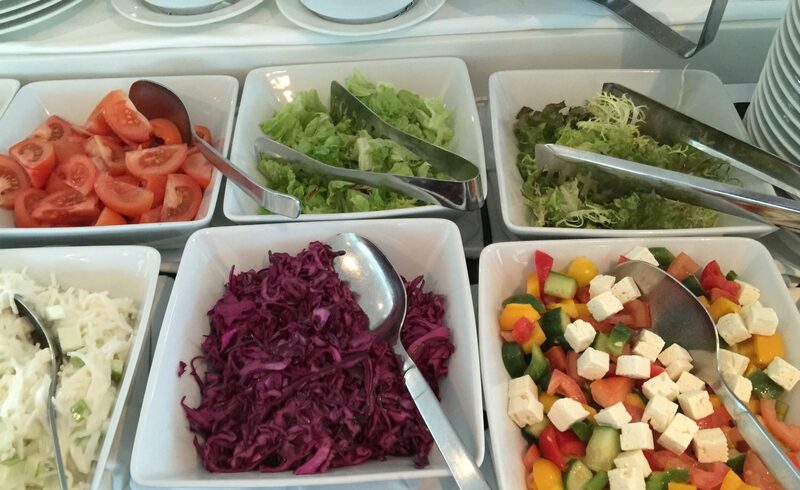 Personally, I don’t worry about what I eat on my trips as long as I’m getting plenty of greens and vegetables. No matter what your dietary preferences are, you will find plenty to eat. I’m vegetarian (pescatarian when I travel) and had more than enough. There is a huge variety and the staff is happy to prepare something different if you ask, and even if you don’t ask, if they notice you are not eating your food, they will suggest it. Also, as soon as they find out you are vegetarian or have any sort of dietary need, they will make sure you have it and you won’t have to mention it a second time. 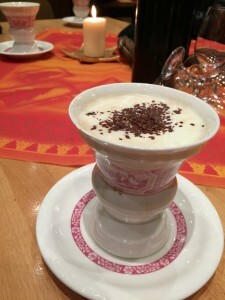 Dinner is comprised of several courses and offers a chance to get to know fellow passengers. You can choose where you sit, and I enjoyed sharing a table with different people each night. Staff could not possibly be friendlier. 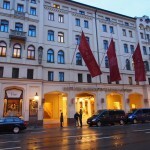 I felt completely at ease and thought the service was that of a five star hotel. Over the course of the cruise, you get to know the crew who is friendly and approachable. Every day you have numerous opportunities to mingle with fellow passengers and can be as social or non-social as you wish. I never felt any pressure at all. You choose when you want to go on outings and when you want to go off on your own. I almost always chose the outing with a guided tour, but I also appreciated going off by myself at times. Each town has at least one Christmas market, and they all vary from place to place with their own special atmosphere and traditions. 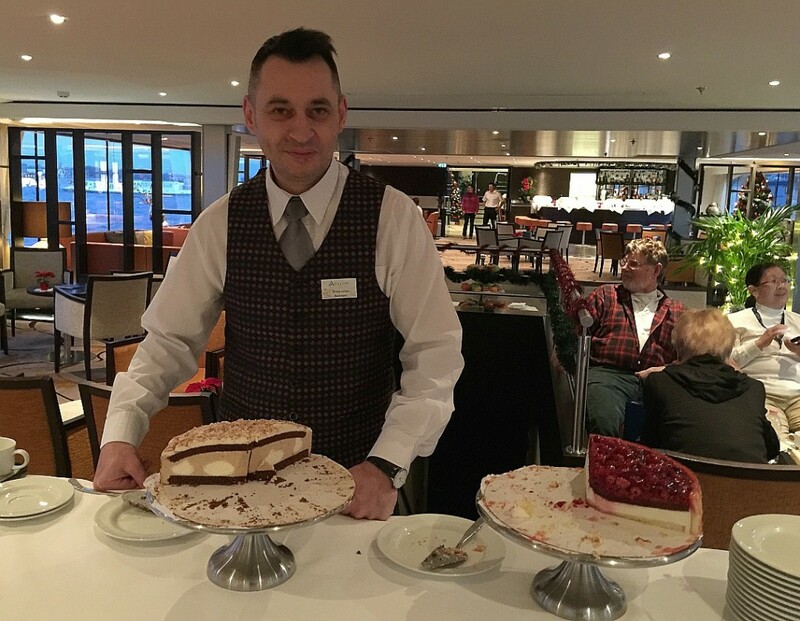 The Northbound Romantic Rhine Cruise stops in Strasbourg, France, which means crepes and macaroons. 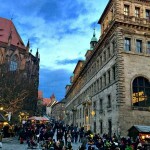 Sailing through Germany includes stopping at the beautiful Heidelberg Castle and the glowing markets below the castle for a spectacular atmosphere. It really transports you back in time to be in the presence of a castle, and to see it illuminated in the background while sipping gluwein and strolling a festive market is absolutely dreamy. Next is Rüdesheim, famous for Rüdesheimer Coffee, which you get to enjoy from traditional cups with the group, or on your own. 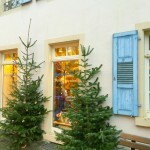 You’ll also stop at Mainz, Koblenz, and Cologne, all loaded with Christmas markets. Each stop includes a guided tour and optional excursions. If you prefer to sight see on your own, you are free to wander off and meet a the boat at a designated time. I think this is perfect for single people and also for multigenerational families–this way they can all move at their own pace with plenty to keep each person happy. There’s always food, there’s always something to do, and there is always a cozy respite back in your room. This enables people to travel together, but be on a different schedule as it suits their needs. 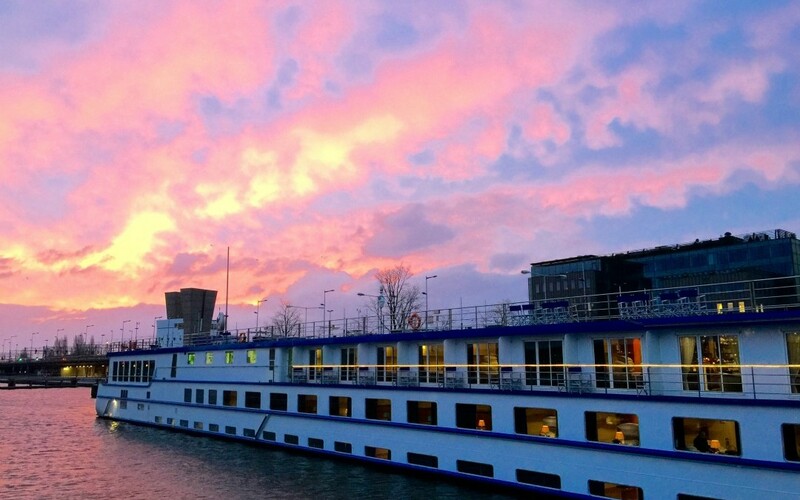 The eight-day cruise culminates in Amsterdam where you get to experience the canals and other sights. It’s a magical thing to watch a castle go by as you float past. You see a lot of other boats on the river and realize quickly that the river is a busy thoroughfare, and has been for centuries. It’s easy to see the sights when you have zero stress of getting from one place to the next. You see the world from a different vantage point from the river. 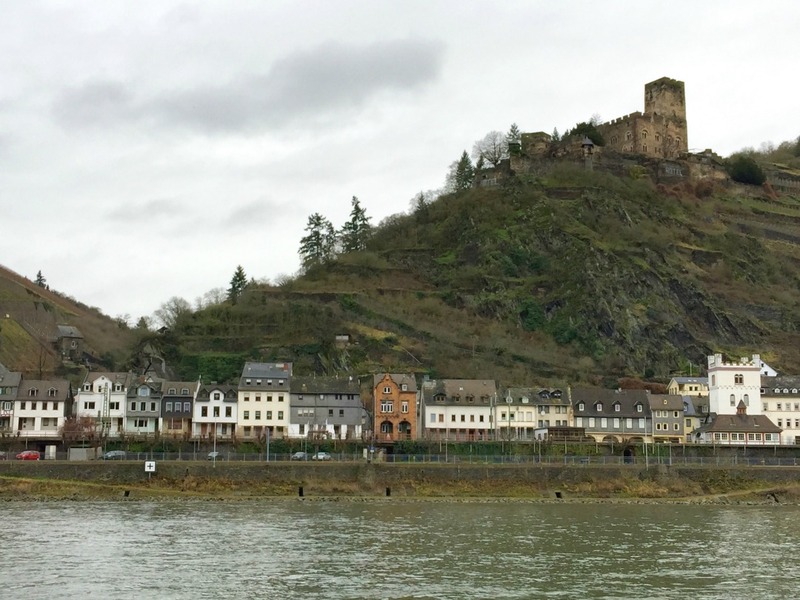 It’s easy to cover a lot of territory on the Avalon Rhine River Cruise, but the experience is not rushed. There is a daily itinerary that you can choose to participate in, or you can go off on your own. Supplemental activities are also offered. 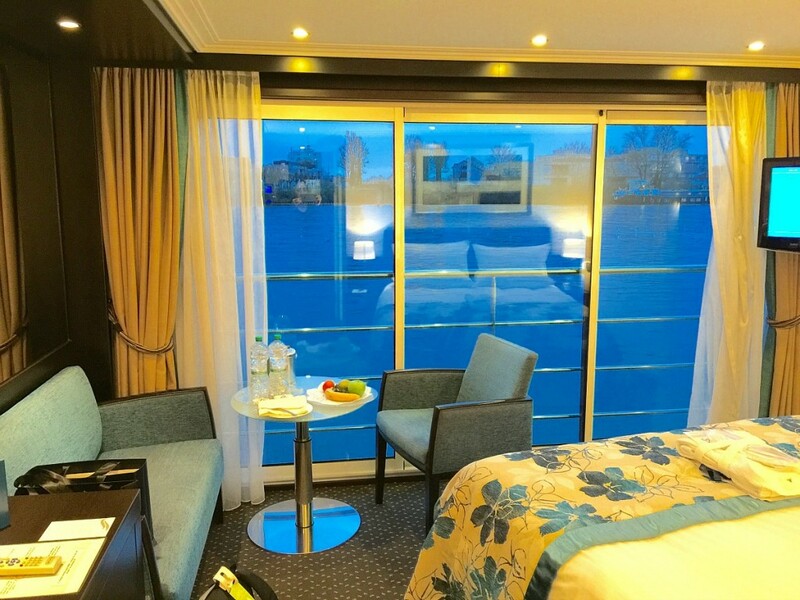 The Avalon Romantic Rhine River Cruise is a great way to cover a lot of ground while remaining comfortable and luggage-free. There is no pressure, no worrying about details like food or which sights to see. I think it is perfect for single people because you get to meet a ton of other travelers and never feel alone. It’s also the perfect setting for a big family to take a trip together without getting in each others way or worrying about different needs and expectations. Why not let the boat staff do that for you and enjoy your holiday? I would do it again in a second. 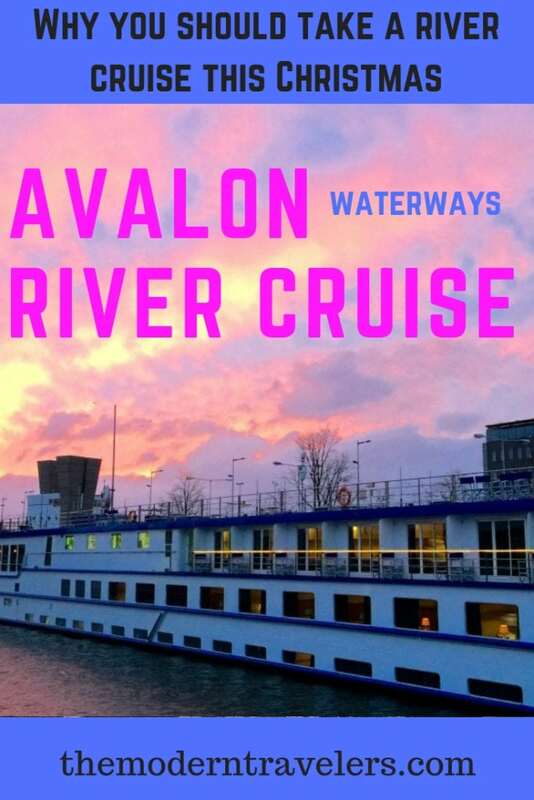 Find out more on the Avalon Waterways website.